I’ve recently shared an article about using the pill by teenagers for pain management on my personal FB page and I thought it would be valuable enough to share here with you. I liked the article because it makes sense to me and it actually has references cited, a bit more scientific. The comments on the article and on my page all have something in common, what about endometriosis? Or severe cramping/bleeding? The author of the article actually addresses those concerns in the comments as well, but I would like to offer a little something to ponder. Those first few periods are when the girls’ bodies are learning the whole ovulation, creating new hormones, sloshing old tissue thing… It’s going to take few tries to get right. When we introduce synthetic hormones, the body has no chance to learn to work in the way its meant to. I would love to see a study done where the age the pill is introduced is then compared to pain levels 10 years down the road, presence of endometriosis, fertility and so on. Proper support at that time of the month is super-important. We have lost the art of slowing down and I think you can agree, pain lying down and not moving and pain walking around are perceived differently. There are also many things that can be tried for pain and flow management before settling on a pill. I remember asking a reflexology practitioner I was taking a class with, “So, if I do these points my period will feel better?” She just looked at me and said that having severe discomfort is not normal and the whole body needs to be addressed. The whole, “I’m not supposed to be suffering” thing stuck with me since then. But what can you do when you are in pain? Here are some of my suggestions and remember that this is a lifestyle change, not a quick fix necessarily. Drink a cup of herbal tea every day starting a week before the period and several times a day during a period. 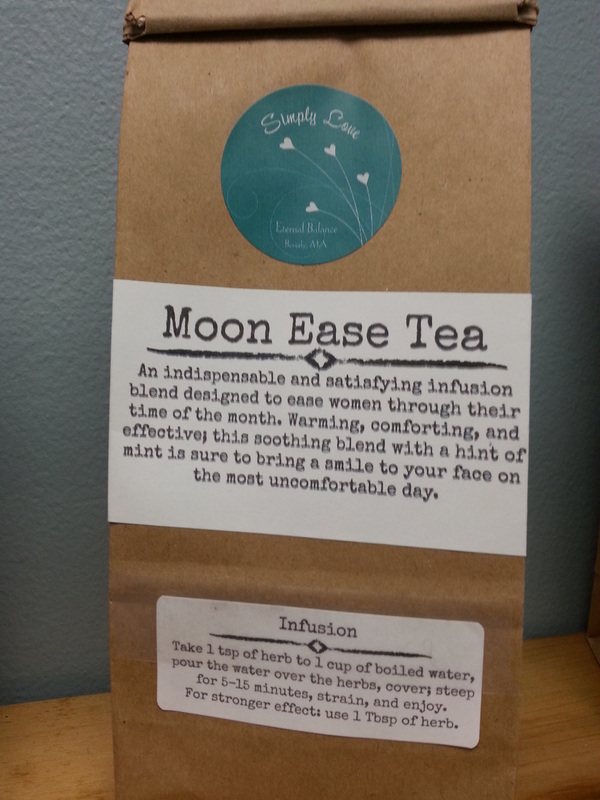 I have a lovely Moon Ease blend from Mountain Rose Herbs at the studio for sale. I can even ship it to you if you’d like to try it. In the months when I don’t forget to actually drink it, my period is mild and not bothersome. Use an especially formulated essential oil blend from Young Living Oils. 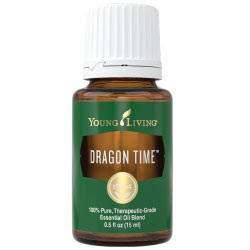 Make it into a massage oil and massage the lower back and the abdomen. Contact me to purchase. Reflexology! You’d want to do a couple of sessions before a period starts. Again, the idea is that in a healthy body where everything is functioning, the period should not be too terrible. I offer a lovely Thai Reflexology, that just might help. Acupuncture can also help through the same principle. I am happy to direct you to an acupuncturist I like. Reiki, of course, can be a gentle way to deal with aches and pains. Tibetan Hot Oil treatment is also meant to help with pain and with elimination (and that is what a period is for, to slosh off the old cells). Compression underwear! Yes, I know, but I find it helps in the first few days when it feels like the belly just wants to fall out. Instead of straining to pull it in, outsource the job to those slimming high-waist undies. Gentle yoga poses can help you settle down, relax, and release the tension from your tummy. Lying down and taking it easy. Do not underestimate the power of rest. The world will not stop if you take few days off. There are many alternative ways of managing pain. They might not be as easy as taking a pill, but you also are not introducing artificial hormones to the body either where long term effects might not be entirely clear. Now you might think that your symptoms can not possibly be helped by such simple steps. But have you tried them? Try them for three months and see what happens. What do you have to lose? Next PostNext What does Eternal Balance mean?